1. 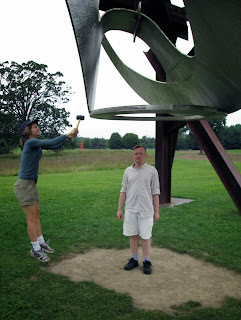 Nearby you’ll see pictures of Malinda Boothe, taken by her friend Lawrence D. Roberts, whacking a hammer against a resonant, metallic piece of interactive art at the surreal, amazing, sprawling, hilly, 500-acre(! 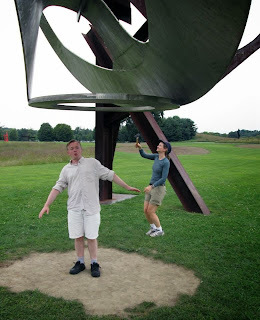 ), outdoor Storm King art museum not far from New York City -- and me amidst the vibrations. Walking around that place is like awakening in some Valhalla for artists (but it’s slightly farther away than Valhalla, NY). 2. That, and a second day of rain here in New York City, will have to substitute for any profound observations about Thor being back in theatres (though I will say that there must be at least some Marvel execs nervous about having schlocky ex-Troma producer James Gunn’s Guardians of the Galaxy this coming summer be the thing to tee up the “third phase” of Marvel movies, likely climaxing with the third ensemble Avengers film’s final battle with Thanos circa 2018). 3. Alan Moore sure doesn’t care whether the Avengers movies continue to do well, though. Hasn’t he taken every last one of his marbles and gone all the way home by now? 4. I don’t know what the name of the third ensemble Avengers film (presumably to be directed by Joss Whedon) will be, but I do notice Marvel already owns the URL AvengersInfinity.com, surely a good one to have on hand if it all climaxes with deathgod Thanos putting all the magical “Infinity Stones” together (here’s hoping they somehow have space to squeeze in Thanos-fighting hero Adam Warlock if it does). They should also get the Rolling Stones to do an end credits song for it. Something about stones and living death, maybe. 5. There’s something unapologetically pagan and pantheon-building about all these sorts of stories -- and I’ll revisit the topic of our pagan brethren (and their gods) soon in an entry about what G.K. Chesterton thought of them. 6. Of course, despite religious people constantly assuming (as they must) that secular folk must be tone-deaf, emotionally deadened, shallow creatures, we science-loving nerds fully understand that for aesthetic purposes, it is sometimes deeply wrong to reduce a story about magic to humdrum material explanations (fiction and reality are two different things, as we are more keenly aware). Thus, the midi-chlorians -- the bacteria that cause the Force in the eternally accursed Phantom Menace -- were one of the biggest mistakes in film history, we can all agree. And I think DC Comics (if anyone I know still cares, and I’m not sure anyone does) made a similar mistake recently. 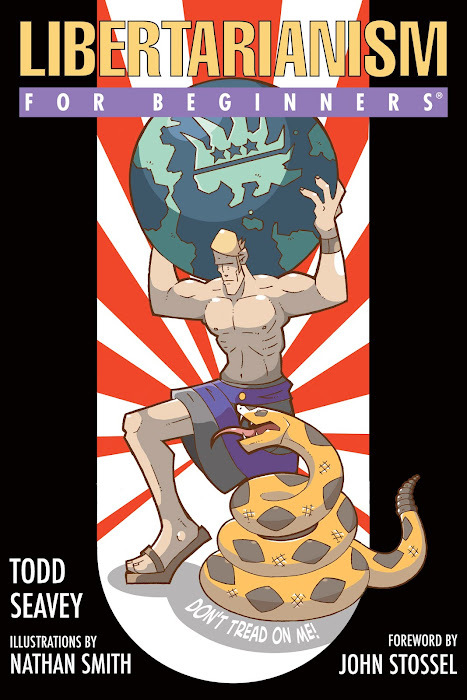 After two years of heightened fan interest, increased sales, and intersecting plotlines spawned by the 2011 reboot of the DC Comics fictional universe, the core plot -- about the goddess Pandora trying to find a fully-good or fully-evil person able to open her fabled Box again and destroy the literal Seven Sins themselves, thus warding off an incursion from beyond the universe that necessitated the reboot as a defensive measure -- ended (or worse, blurred into the next story) with the revelation that the Sins were just irrelevant alien parasites, the Box was just a teleportation device, the big incursion was just the Crime Syndicate (the evil Justice League from Earth-3), and Pandora’s scheming and manipulation of reality over the past 10,000 years or so was pretty much pointless. Oh, well. On to the next advertising blitz and/or film tie-in. Best to turn your eyes elsewhere (perhaps to a website called Liberty Island -- but more about that in a few weeks). 7. Yet geek hope springs eternal, and, for instance, I am cautiously optimistic about the impending second Hobbit film, despite the first one being bland, for the simple reason that dividing the fairly short and simple book up into three films, while a mistake, should at least have the positive side effect (I hope) of cramming the entire dragon arc of the story, from our first full sight of him to his death, into this one film. That should be a cool traditional story arc even if the first and third films prove lacking. Go, Smaug! 8. Smaug is a very traditional sort of character, as J.R.R. Tolkien well knew. More modern depictions of evil tend toward the unsettling, as with “BOB” from Twin Peaks, who oddly enough (or quite fittingly?) is sort of likened to ABC (and now Disney) exec Bob Iger in this neat 1991 news piece about the TV series. It even has cream corn (pardon me, garmonbozia) and a nice chat with the actors who played “BOB” and the dwarf. 9. 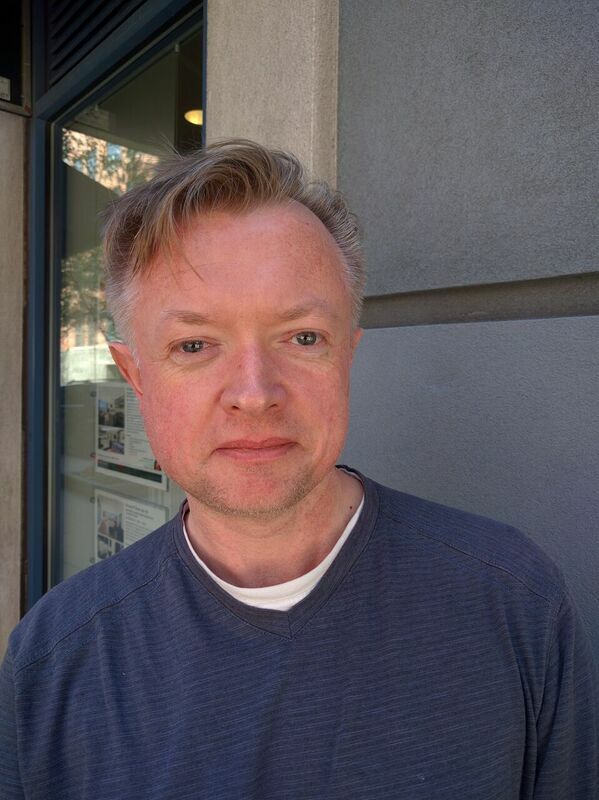 I feel as if the closest I get to dealing with creepy entities from a gnostic Black Lodge in real life is being tweeted at by and occasionally interacting face to face with “neo-reactionaries” and “Dark Enlightenment” advocates such as Michael Anissimov. If you want to know why they’re weird-but-interesting, this recent article (h/t Tushar Saxena and Marilynn Larkin) is a good place to start. If you find yourself thinking with alarm that it sounds like some people you know (or have dated), you may well be right. 10. Speaking of creepy friends, some lucky person is about to become my 666th Facebook friend. Surely, we near the end times.